Tues. #1 is HERE. Please follow us on Tumblr or Twitter, subscribe to us on YouTube or like us on Facebook. Don't miss Ian Clark's SmackDown Live Recap at 8 PM ET, The Wrestling Nerdcast tapes at 9 and Nickolye's 205 Live Recap at 10! With the cheap plugs out of the way here's Tuesday's latest wrestling news. 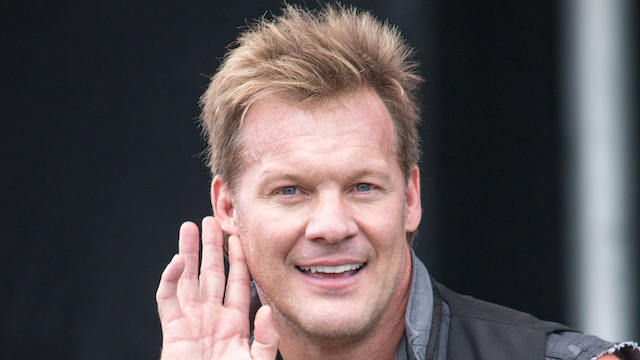 Here Chris Jericho reveals he turned down All In: "I got asked to do Strong Style Evolved in Long Beach, I said 'no.' I got asked to do the G1 Special at the Cow Palace, I said 'no.' I got asked to do "All In," I said 'no.' I don't want to do that. You should see how many indie promoters have contacted me over the last six months. ... You guys have to understand, this is not just me... it's a calculated, big money proposition. Big money for me, big money for the company doing it. I'm not going to work anywhere else, unless you want to pay six f--- figures, I'm not bragging, but this is where we're at. This is McGregor-Mayweather type s--- for me. I'm not saying I'm making $55 million like those guys, but what I'm doing it's the most I've made for the least amount of matches in my entire career. So, it's very calculated, everything I do has to be very smart." According to Cageside Seats, WWE and New Japan may end up in a bidding war over Kenny Omega and the Young Bucks i.e. The Elite. Also according to Cageside Seats, Undertaker is more likely to wrestle at SummerSlam than John Cena. The official preview for SmackDown Live tonight is below. Here's a Total Bellas bonus clip. On Photo Shoot, Godfather says he as asked to leave WWE and join the nWo in WCW: "My contract was coming up, and I was in negotiations with WCW coming into the nWo as their bodyguard. And we had arranged a verbal contract. The price was over a three-year deal. And then, I didn't hear from them, and I called the people that I needed to talk to and they weren't returning my calls. And then I'm watching the show one day, and I see Virgil come out as the bodyguard of the nWo. I would assume that somebody in the nWo said, 'hey, we could probably get Virgil a lot cheaper, and he's known as a bodyguard.' So, Virgil went there a lot cheaper than what I was gonna go there for. So, I don't really have good feeling over that at all." Here Samoa Joe gives a teaser for SmackDown tonight: "I think Memphis is kind of, one of - wrestling is ingrained in the local culture here and you were just telling me here that we're kind of sitting on hallowed ground this being the original studio where a lot of Memphis wrestling went down. And I think we like to come to towns like this, especially leading into bigger shows cause the crowds have a lot more energy. They're very, very opinionated and usually makes for some wild TV. I'm definitely beating somebody up tonight, so that's probably the highlight of the evening, but aside from that, tonight, like I said, it's going to be a night of statements. You're going to see a lot of people making some big moves tonight and I know I definitely will, so it'll be pretty fun." Various new wrestling related videos are available below. Ring of Honor has secured a date to run Madison Square Garden. John Cena has joined the cast of Jackie Chan's Project X.
Jacob Kasper is eyeing a WWE career after the 2020 Olympics. 4:00 PM ET. Aleister Black talks about Shawn Michaels: "I read that, I was very intrigued. I think as a wrestler, a performer, that 'bug' never dies. I truly hope that he will come back for one more. In the back of my head I have a few things that I would like to see, obviously, I've connected myself to those things as well. We're gonna find out, if he does, it's going to be fantastic. I know he can still go. He can go. Don't worry about that." 6:00 PM ET. Sin Cara will not be allowed to wrestle on SmackDown Live tonight. "The masked man was originally scheduled to face his former friend, Andrade 'Cien' Almas, tonight on SmackDown Live, but due to a shoulder injury suffered when Almas attacked him last Tuesday, Sin Cara will not be able to do battle." (WWE) I suspect this might be storyline but we'll keep you informed if it turns out he has a real injury. In addition Jerry Lawler will interview AJ Styles on tonight's show.